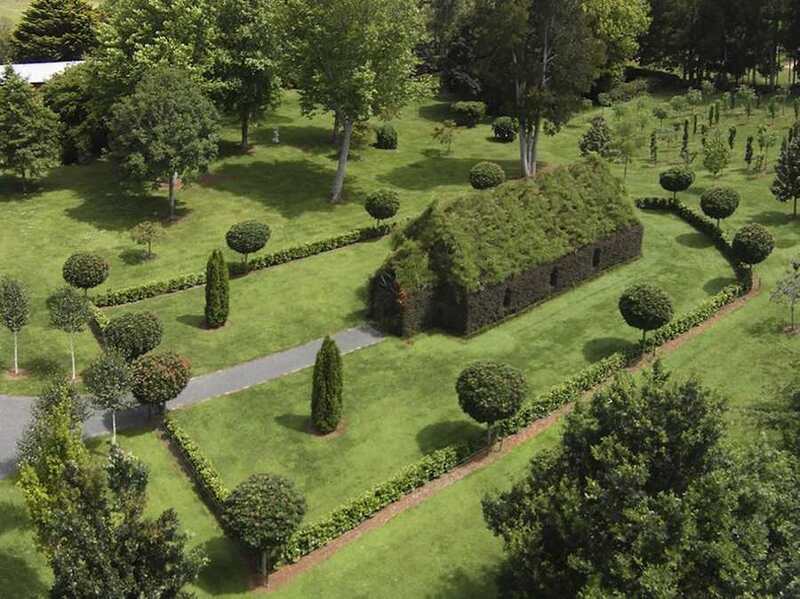 The Tree Church in Ohaupo, New Zealand which seats 100 people, is built almost entirely out of living trees. The architect, Barry Cox intended it to be a retreat from society when he first started it in 2011. 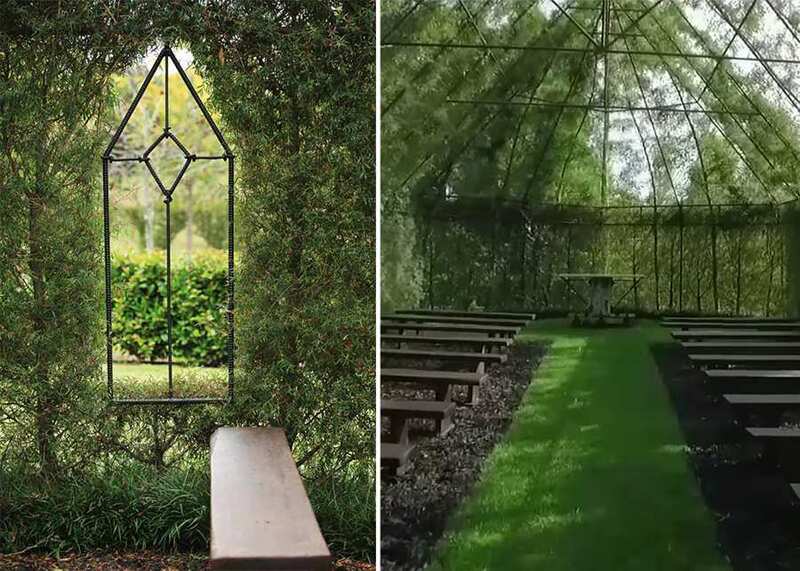 Cox was able to complete work on his church in only four years because he transplanted mature trees using a tree spade, a special digging tool that works like an apple corer, extracting trees while preserving their root balls. 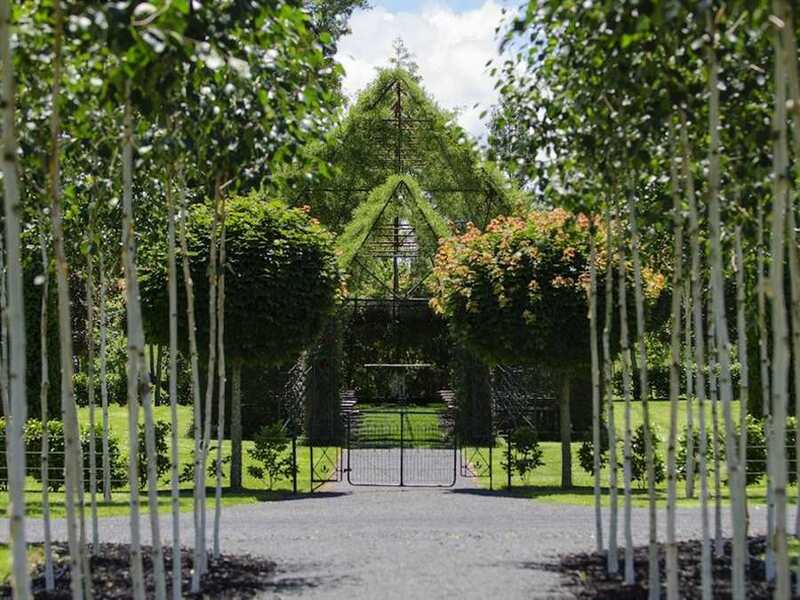 He used live cut-leaf alder trees for the roof canopy and copper sheen for the walls, as well as camellia black tie, Norway maple and pyramidal white cedar, training their branches around the frame.